Sunday, December 8th, 2013, the snow began to fall. Our appointment for CHOP was Monday morning. As the day progressed and the weather appeared to be worse then expected, we booked a hotel room for Sunday night in Philadelphia. We didn’t want anything to stand in the way of our opportunity to get what we hoped could be better news. 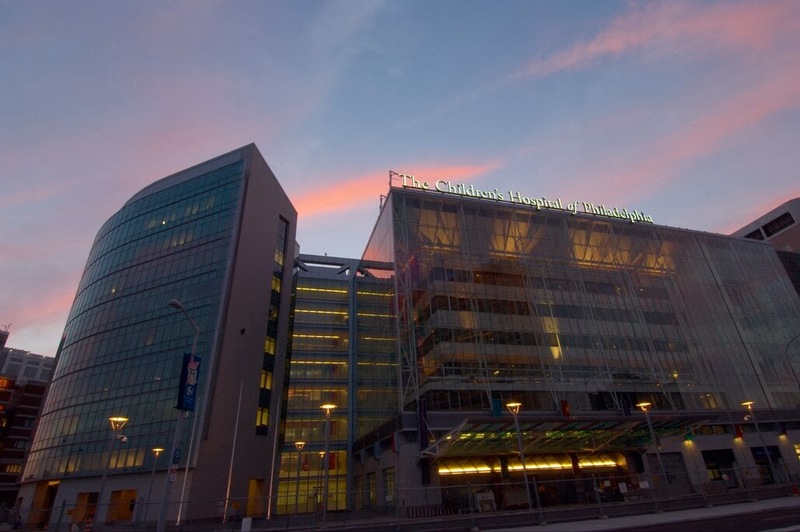 © The Children’s Hospital of Philadelphia. Monday morning, we arrived at CHOP It was only a few minutes from the hotel we booked, so getting there was easy. We went up to the floor we were supposed to and sat down with an intake person. She got all our information and gave us our schedule for the day. We had a Fetal MRI scheduled for first thing in the morning. In the afternoon, we were to have a fetal EKG and an ultrasound. We were also to meet with a genetic counselor. After all of these we would meet with the doctors and discuss what could be done, if anything. After the Fetal MRI, however, our day shifted. The people at CHOP started working more quickly and started changing our schedule in an attempt to get us through more quickly, We don’t know for sure why we got the preferential treatment, but we did. The workers at CHOP were very nice, and very understanding. Finally after all of out tests, we sat down with a doctor to go over the results. We were nervous and anxious to hear if there was anything that had been missed or overlooked. We knew that the news they gave us could be no worse then what we were already aware of. The doctor then told us what they now knew, Unfortunately, the doctors found nothing different then what the prior doctors had diagnosed. 3.) A Transvalved heart with an underdeveloped left side. The overall determination was that the baby is incompatible with life. The doctor also recommended termination because of a 10% risk of mirror syndrome. She said that while they generally do not recommend termination, they felt the severity of our babies situation would yield no positive outcome and since it created a 10% risk to me it was the best solution. We decided however that we would bank on the 90% of no risk to me and give God a chance to heal our baby. If we terminate our baby has no chance of being healed. We also felt that even without the health issues, babies are not born at 21 weeks and are able to live. For that reason alone, we felt we should continue the pregnancy to at least a point that the baby could survive if it were healthy. We now had a new mission. Make the most of the time we have with the baby, and pray for a miracle.